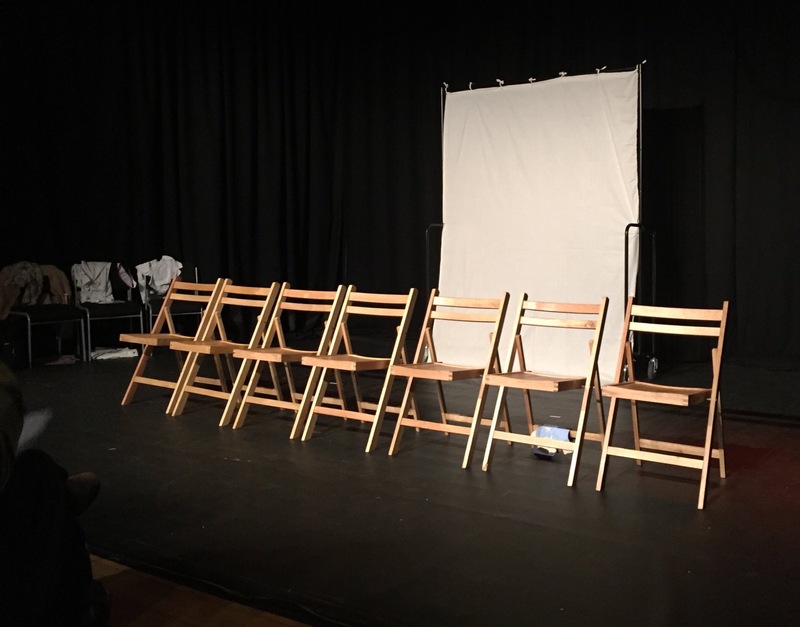 The acta community theatre festival was held in Bristol last week, and featured performances by acta’s own Malcolm X Elders, CAN, Collective Encounters, Entelechy Arts, Glasgow Citizens and London Bubble, among others, with workshops and discussions. I was asked to give some concluding thoughts; here is (more or less) what I said. Thank you all for being here and thanks to acta for asking me to do these closing remarks. 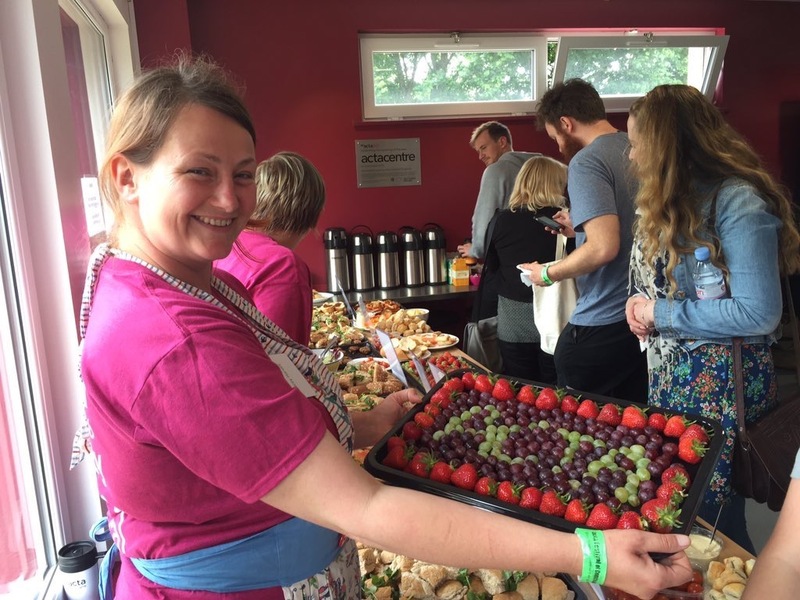 This has been a lovely festival, really friendly, relaxed, fantastic food – but it’s the theatre that matters. It’s been moving, funny, interesting, uplifting, but it’s also been extremely varied. You wonder what stories of Jamaican childhood, or migration, or bringing up an autistic child can have in common. How does this make something that can be described as a practice – which was what Neil and Helen asked me to reflect on today. Is there such a thing as community theatre? Does it have unity in this diversity? And is it a movement? In yesterday’s workshop there were people who liked the term ‘community theatre’ and others who didn’t. I can understand a reluctance to be boxed in, as if there is ‘theatre’, implicitly ‘proper’ theatre, and ‘community theatre’, which is in somehow not quite up to standard. So I see why people might not want to be branded ‘community theatre’. Theatre is just theatre – a great spectrum of practice. I get that and I think it’s right. On the other hand, like ‘community art’, the term may be useful in helping the people you want to reach to understand that you have particular values and ideas. What difference might it make to local people that this is acta community theatre? It seems to me there is a value in that. I have doubts about how the term ‘participatory art’ has crept into discourse. There are differences of ideas and values, but my point is more practical: if you search online for ‘community arts’ you get millions of hits, but ‘participatory arts’ will get thousands. I think that says something about what people understand by the term ‘community’. I don’t mean that we understand the same things by it, but at least we’ve got the possibility of a conversation together about what it is we understand. So, if only for that reason I see some value in the term community theatre. What the rest of the art world makes of it I don’t honestly mind: I’m interested in what happens here. 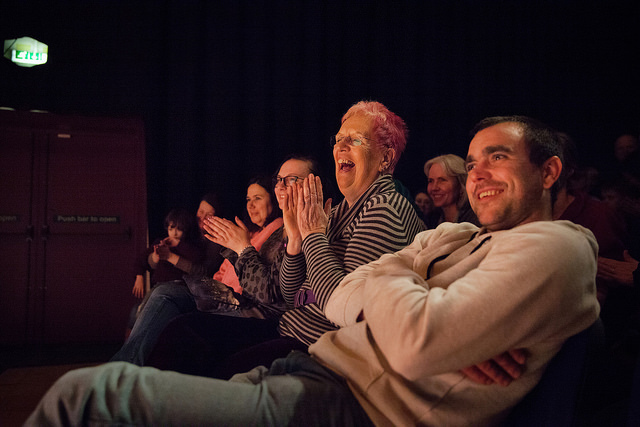 But what might the phrase ‘community theatre’ mean to the people who make it? In the welcome pack Neil gives acta’s definition of community theatre, and I partly agree with it and partly don’t. The problem is that I’ve seen lots of work that doesn’t fit the definition but which I would certainly call community theatre. And I’ve also seen work I have questions about but which does describe itself as community theatre and maybe, in some senses, also fits that definition. That’s all right though – I don’t think it matters if we have different understandings of what we mean by community theatre if we stay true to our practice as artists and arts workers. What do I mean by that? I think staying true to our practice as artists means being self-critical, curious, open to others, and passionate about our own beliefs at the same time. Being self-critical, questioning and curious about what other people are doing might protect us from setting up defensive fences around our work: that leads to saying ‘Okay we know how to do this and this is good – and what people do that’s different is not good’. 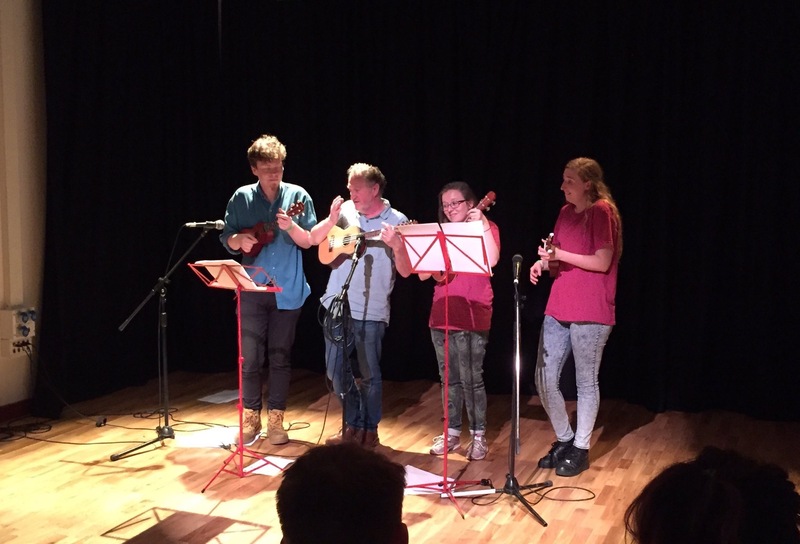 That was an early lesson as I was working out my own practice and thinking in community arts in the 1980s – seeing that other people often worked in very different ways to me, with different ideas and values, but still did good work that was valued by the people they worked with. Someone spoke in the workshop about seeing people involved in participatory theatre, and having lots of questions about it, including the degree of authorship they had over the theatre they were making and whether they were just enacting somebody else’s stories. But she also recognised that they had a great time and were really enthusiastic about their experience. Respecting other people’s judgments about what’s good for them is fundamental to any good community practice. I don’t want anybody else to decide what’s good for me: it follows that I can’t decide what’s good for anybody else. So it’s okay if we don’t agree about what community theatre is, so long as we stay true to that sense of being self-questioning, curious and open minded. That’s what has kept the practice of community theatre evolving over the last 50 years in the UK. The project I’m now working on is called ‘A Restless Art‘ partly to signal that restlessness can be a good thing. Not knowing what you’re doing, provided you’re trying to do it with integrity, and as Neil said to me this morning, ‘from the heart’, is what helps work to stay alive. Is there some unity in the diversity? Now, let me move on to the next question that Neil raised. I’ve spoken of the diversity in the shows that have been presented here: is there nonetheless some unity in the diversity? Is there some common ground that means it makes sense to bring these people together? My sense is yes, of course, because I’ve experienced a strong atmosphere of unity here, as I’ve listened to people talking and working together. 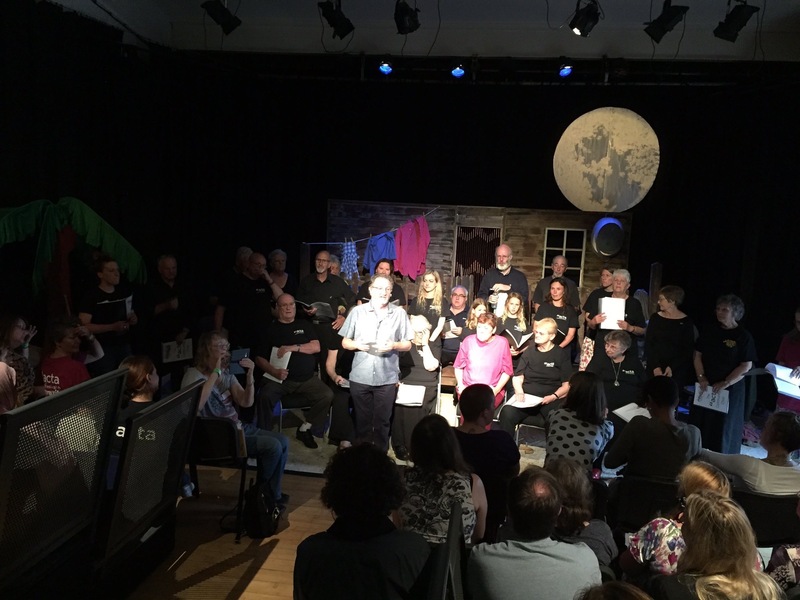 So I want to suggest some aspects of that unity – some of what brings community theatre together as a practice. The first thing is that professionals working in community theatre – those I’ve met here but also elsewhere and in other countries – seem to care most about the people they’re working with. This is a humanist art. The people come first, second and last – before theatre, before plays, before audiences. That’s why some people I’ve spoken to aren’t even sure whether the performances matter. I believe they do because it’s the nature of the activity that you’re doing. If performances don’t matter then it’s an educational or developmental activity not an artistic one. Art is a particular and important thing that only exists when the work is shared with an audience – it is completed in that sharing of a creative work. The second area of common ground – and it comes out of that sense that the people are the foundation of everything – is that their experience is the subject matter of community theatre. That is what it’s about. That underlying purpose links all the performances I’ve seen this week. Different as they are, each one aims to empower people to make art out of their own experience and to share it on a stage, a platform, a space with others. That’s important because community theatre prioritises work with those who don’t have that opportunity. When Neil asked us all to say why we do this work I said the simplest answer for me is that I believe everybody should have the chances I’ve had. I was fortunate in my childhood, upbringing, education and creative opportunities and I see no reason why everybody shouldn’t have similar possibilities. So the core motivation is about enabling people who are often marginalised in our public and cultural life, including theatre spaces, to be heard. Community theatre aims to bring people on to this stage and perhaps – and we’ll come back to that – onto other stages. One of the things that’s really striking as I watch community theatre is that I am looking at the society that I recognise. That’s not true when I sit in a mainstream theatre. I don’t see the people I see on the streets around me there. That’s really important. The performance by the Malcolm X Elders is the third or fourth by them that I’ve seen, and in some ways it was the most impressive from the richness of the stories to the way they were told. 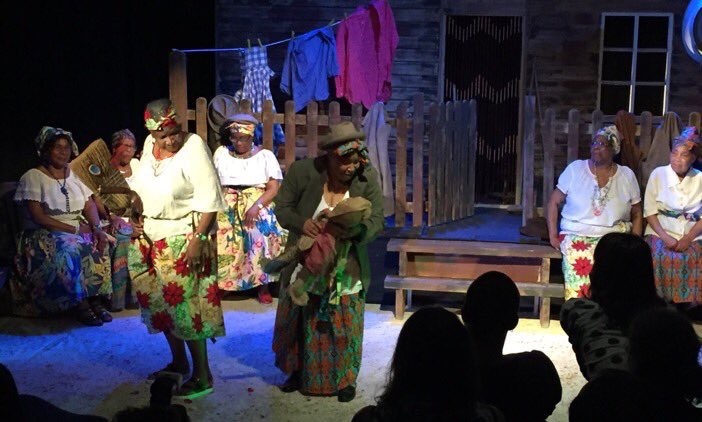 But I also watched eight older, African-Caribbean women on stage: no framing, no justifications necessary. Just people telling their stories – I don’t see that. And I should. The Arts Council speaks of the ‘creative case for diversity’, which I understand to mean that we should value diversity because it enhances creativity and the language of the arts. That’s true because, of course, if you bring new voices on to a stage, into theatre language, you naturally enrich the stories and the ways they are told. That’s true, and it’s a good thing, but I have always been primarily concerned about the human rights case for diversity. I don’t want to include everyone, on their own terms and with their own voice, because our creative life will be enhanced, though it will. I want to do it because Article 27 of the Universal Declaration of Human Rights – which this country like all European Union countries has signed up to – gives everyone the right to participate in the cultural life of the community. It’s that simple. It’s the right of everybody to stand where I’m standing and perform and tell their stories – that’s what community theatre is about. Because these stories come from people who may be marginalised in our society, they are often stories of hardship, suffering and sometimes great pain. There are difficult ethical dilemmas if you’re inviting people to bear witness even to bare their souls. It must be done in ways that are as safe as they can be. Though nothing is really safe in life, we can try to make things safer, we help people understand the risks involved in sharing their stories. All that has a profound effect on the theatrical language of the work we’ve seen this week. Because of its material and the risks it entails, community theatre, seems to be always in search of a positive narrative. It is in search of a story of acceptance, or overcoming, or resolution and that’s both important and understandable. In fact the process of making theatre – of articulating and giving form to your story – can itself be part of that process of overcoming, resolution, reconciliation, acceptance. Form, content and process, if not exactly the same, are intertwined in community theatre. That’s what I heard yesterday when one performer spoke so movingly about her experiences in the Falklands War and the courage she has taken from her work with Collective Encounters. That’s what John from the Citizens has spoken about this morning and through last night’s performance; many others have said as much in different ways during the festival. During the morning after discussion, someone asked ‘Why use theatre to tell these stories?’. 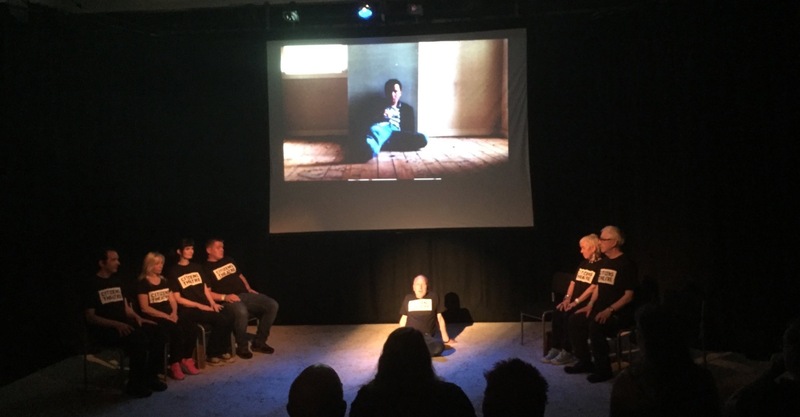 A member of CAN in Manchester offered a profound answer when she said ‘it’s because on the stage we’re inviting the audience to make the imaginative connection with what we do; we might sketch a doorway but you have to imagine it’s a doorway to an office, or a prison cell, or whatever else it is’. Theatre – and all art – is so important because as a creator, as an artist, as a performer I can only play my part. I can offer something, but it stays incomplete, unfulfilled until somebody else responds to it. That’s true of my words now. I’m trying to communicate something but each of you will take something different from what I’m saying because you’re filtering it through your own experience, imagination, understanding. That’s far more true of art and theatre. So part of what I feel when I sit in the audience and watch community theatre is a sense of affirmation from the audience to the performers. I feel that the audience is willing to reach forward to the performers, to make that connection, to be that imaginative other half. In the back of my mind over these days at the festival has been an echo of film I’ve seen of black churches in the South of the United States – the call and response of choir, preacher, and congregation. It is a very conscious, active exchange – and it’s unlike quite a lot of theatre, where the audience is sitting back to be entertained, or being told something and quietly taking it in. But in the shows we’ve seen this week I’m touched by the laughter, the engagement, the affirmation, the applause during a performance like there was at the end of the salsa in the show last night. That is a real closing of a circle that is full of energy and affirmation. Thinking about those churches and their importance in the Civil Rights Movement I see the solidarity they built among people who were disenfranchised, marginalised. If you’re going to take on a Civil Rights struggle, as black people did in the Southern states in the 1950s and the 1960s, you need to do it from some sense of strength, because it takes great courage. I think that part of what you see in those films is a community reminding itself of its values, of its importance to itself of the truth and validity of its experience and reaffirming its courage. And that is one of the important things community theatre can do. There is a risk that the circle becomes closed and the self-affirmation doesn’t then go out and take that courage and strength into other places, and other communities that are harder, less responsive, but are precisely the ones with which it’s really important to build bridges. As we’ve been here, I’ve also been aware of the unprecedentedly hostile political debate that is happening about what our country is and what direction it should take. And what I fear, among other things about the future, is that it is increasing divisions that have been carelessly stoked up for many years. 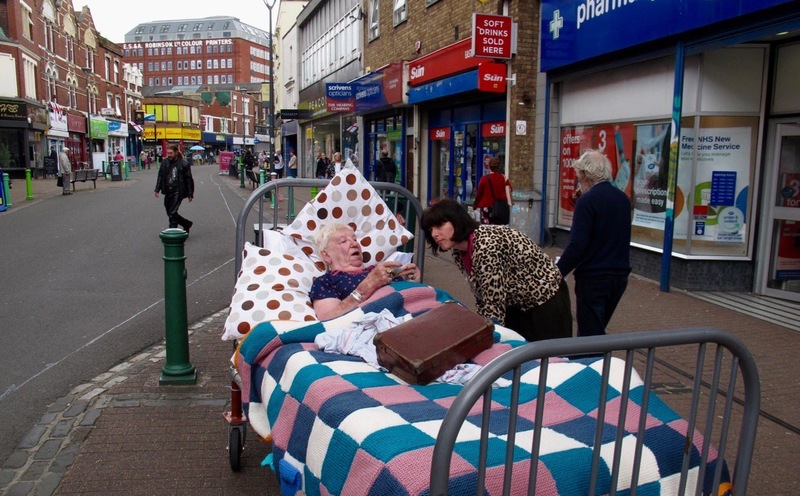 If community theatre is going to live up to its values and its rhetoric, its hopes and its ideals it must be part of a movement that reaches out to people and builds bridges, just as putting a bed on a High Street enables an unexpected meeting between people. It’s as simple and as difficult as that. Use the strength that you get from the self-affirmation, from the sense of being a group with shared values and beliefs to say, ‘Right, now we need to bring these stories onto a wider platform; we need to be heard by other people, by people who may not be keen to hear the story of refugees, or the story of a Somali woman trying to bring up an autistic child, or the story of what it’s like to be lonely and old, or the story of what it’s like to have lived for 50 years in a different world to the one that you grew up…’. All of those stories and many, many others… It seem now more urgent than ever to bring those stories out to the wider community, to the people who know nothing of them, about you about others. And to say here is my story, what is yours? On in the words of Aneurin Bevan, ‘This is my truth, now tell me yours’. That’s a vital mission for community theatre today and you have the stories and abilities and resources to do that – and I wish you every strength in taking that forward.